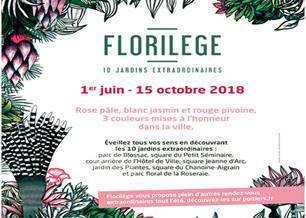 Florilège is proposed by the Direction green spaces of the city of Poitiers which begins on the occasion of Rendez-vous aux Jardins on June 01 but lasts until October 15, 2018 . Pale pink, jasmine white and red peony, three colors honored for the 10 ephemeral gardens of Florilège . 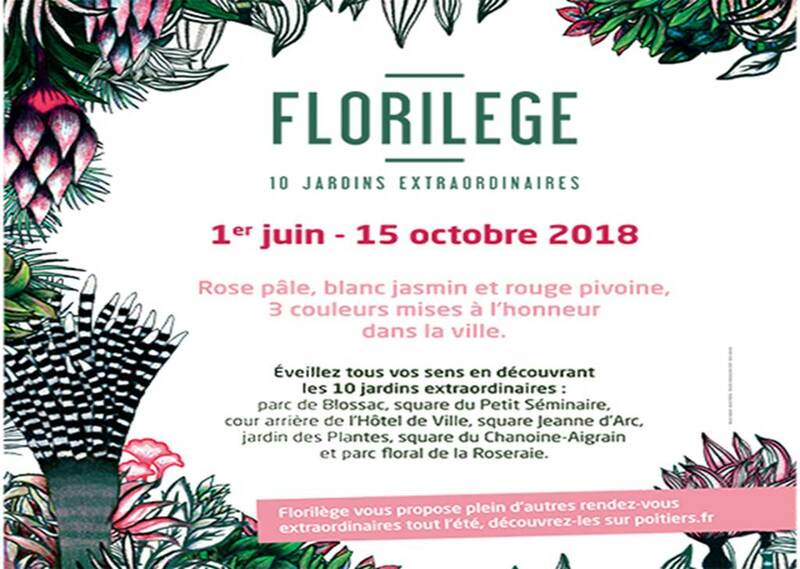 Inflorescences, perfumes, flowers in suspension, floating gardens and tableaux vivants, Florilège's flowery course , extraordinary gardens will revive your senses. After the "Voyage des plantes" in 2017, the gardeners of the City of Poitiers have imagined a series of ephemeral gardens to (re) discover the time of summer, in a different light, the parks and gardens of Poitiers. Meet at Blossac Park (Leopold-Thézard Street), the Petit Séminaire Square (3 rue du 125e Régiment), the backyard of the Hôtel de Ville (Place Maréchal Leclerc), Jeanne d'Arc Square (street des Cordeliers), the Jardin des Plantes (boulevard Chasseigne), the square Chanoine-Aigrain(boulevard du Pont-Joubert) and the floral park of the Rose Garden (11 rue Salvador Allende).